Despite having worked on everything from furniture design to rock concert props (and even directing his own films), Swiss artist H.R. 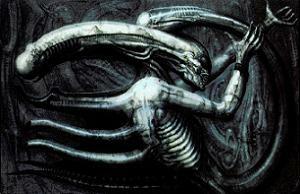 Giger is best known for two things: his concept work for Ridley Scott's Alien, and his overtly sexual paintings. But today, we don't care about those. Today, we care about the only two video games he ever worked on: Dark Seed and its sequel, Dark Seed II. Born in Switzerland in 1940, Giger (full name Hans Ruedi Giger) has honed his style over the decades in paint, sculpture, film and industrial and set design. Influenced by the surrealist work of men like Salvador Dali, he first hit the big time in 1979 when he designed the creatures for classic sci-fi horror flick Alien, basing their sleek, sexual design on his own 1976 painting Necronom IV. He's since released his own art books, worked on other films (like Alien 3, Species and Poltergeist II), been a massive influence on sci-fi authors and comic book artists, designed album artwork for artists such as Danzig, Dead Kennedys and Celtic Frost and even has a pair of Giger-themed bars in his native Switzerland. Yet while being one of the most recognisable artists alive today, with his bizarre, monochromatic style of blending man (or woman) and machine, Giger has only ever worked on two games. And they were released almost twenty years ago. And they were, of all things, point-and-click adventure titles. The first of these, Dark Seed, was released in 1992. As a game, it was terrible, employing some of the worst designs choices of the genre, especially puzzles that if left unsolved (or not solved in time, as the game ran on its own clock) would in effect "kill" your game, blocking your progress and forcing a restart. But as a work of art, it was amazing. 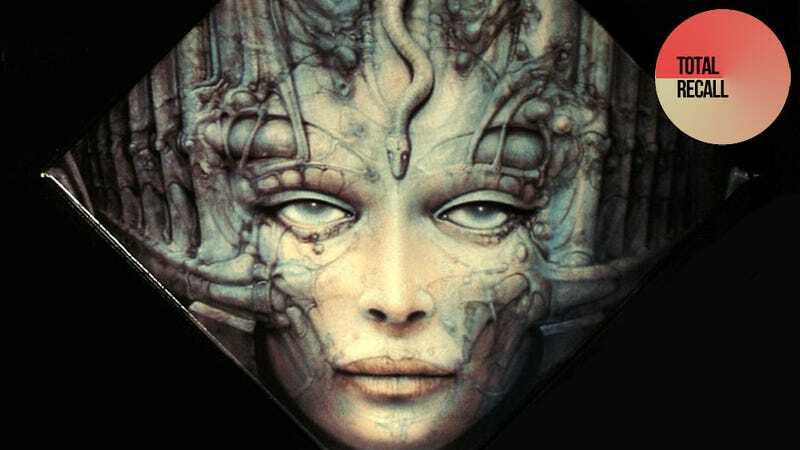 Giger's nightmarish art lent the game, about a man who thinks he's in a haunted house but actually uncovers an evil alien race, a look that wasn't just fresh for adventure games at the time, but for all games, from any time. Giger's work is normally incredibly, and exclusively surreal; by grounding it in reality and seeing it blended with the mundane of a suburban house owned by an advertising executive it's only made even more terrifying. Especially when you consider the series' main character of Mike Dawson, who down to his image, is based entirely on the game's designer: Mike Dawson. Despite mixed reviews, the game garnered a following thanks in large part to Giger's art, enough so that in 1995 a sequel was released. This time with a plot written by novelist Raymond Benson (who in addition to writing several books based on games has also written for the Ultima series), Dark Seed II saw Dawson again battling the evil aliens from the first game, only this time back in his home town in Texas. In the West, the first Dark Seed was released on the PC, Amiga and Mac. The sequel was released on the PC and Mac. In Japan, however, both games received console ports, appearing on the PlayStation and Sega Saturn. Maybe it's because the Dark Seed games weren't that big a success, maybe he didn't enjoy the experience, maybe it's just that nobody has ever thought to ask him, but Giger has not worked directly (his Alien designs of course feature regularly) on a video game since. Which is a real shame! The adventure genre was perfect for his brooding, dark artwork, and with all kinds of new genres and styles of games emerging in the years since Dark Seed, you'd think somebody could find room somewhere for one of the 20th centuries most iconic and influential popular artists.